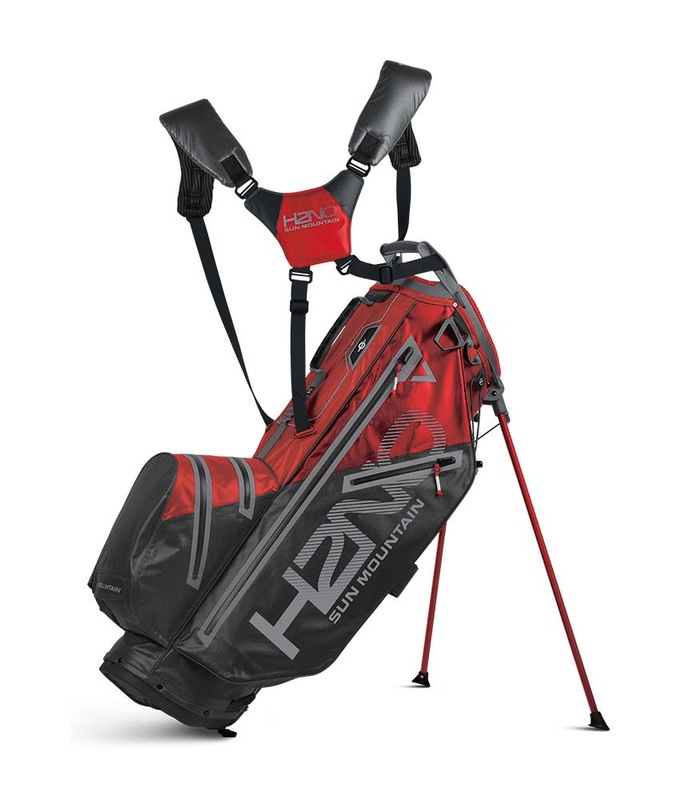 Bought this as my Winter carry bag. Very light and has the 14 x way divider which i prefer. Totally waterproof. Yes there are cheaper bags but this is a great bag. Also, the guys at Stanmore are really helpful. 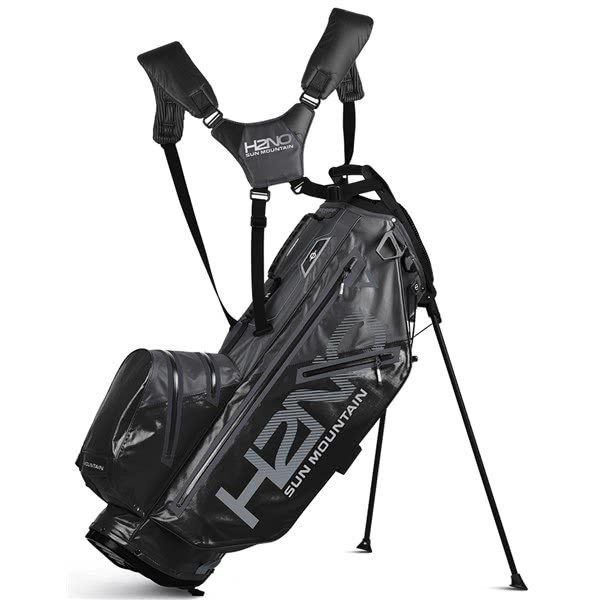 Great carry bag. Great looks. It's expensive bag but excellent quality. Worth any penny of it. Bought with zero G belt. Carries much easier. Sun Mountain have designed their H2NO 14-Way Stand Bag to be their premium stand bag and it really does tick all the boxes. 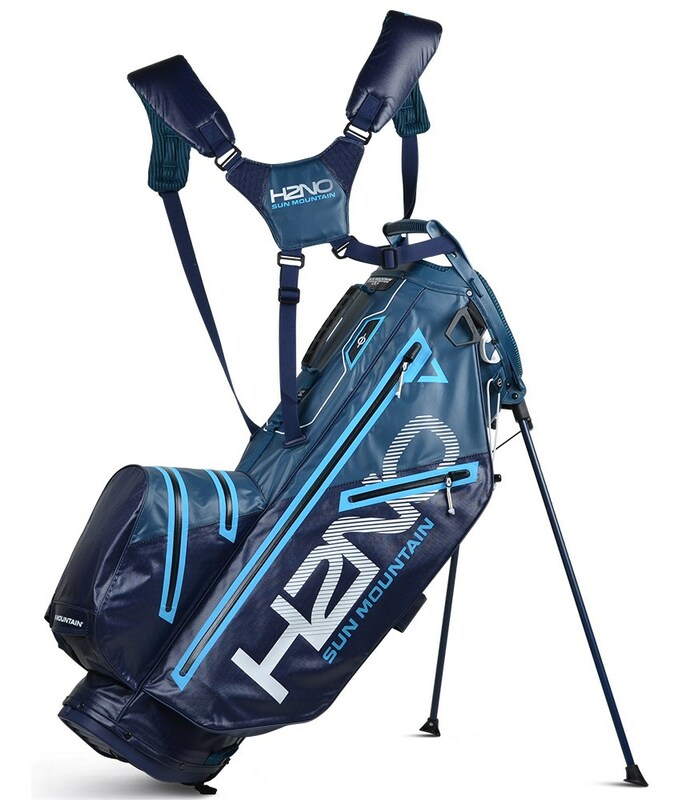 The design of the Sun Mountain H2NO 14-way Stand Bag is an absolute dream to carry, and it will comfortably and securely fit on to all major trolley brands, providing the ultimate in versatility. 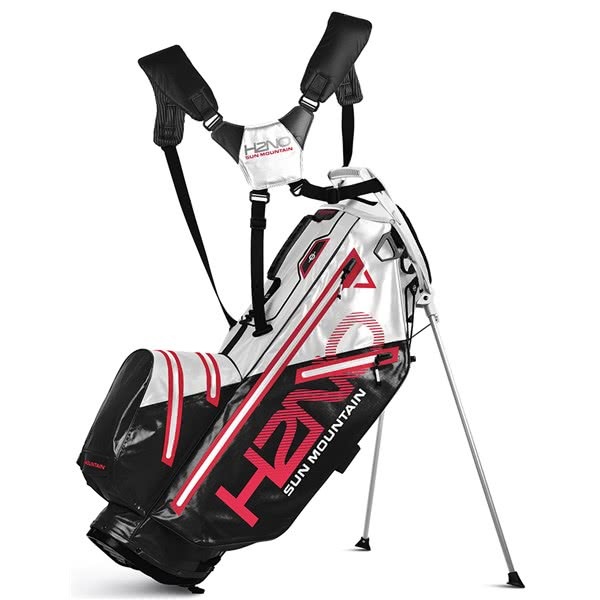 Every aspect of the design has been thought about and designed in a way that will make your life easier on the golf course. 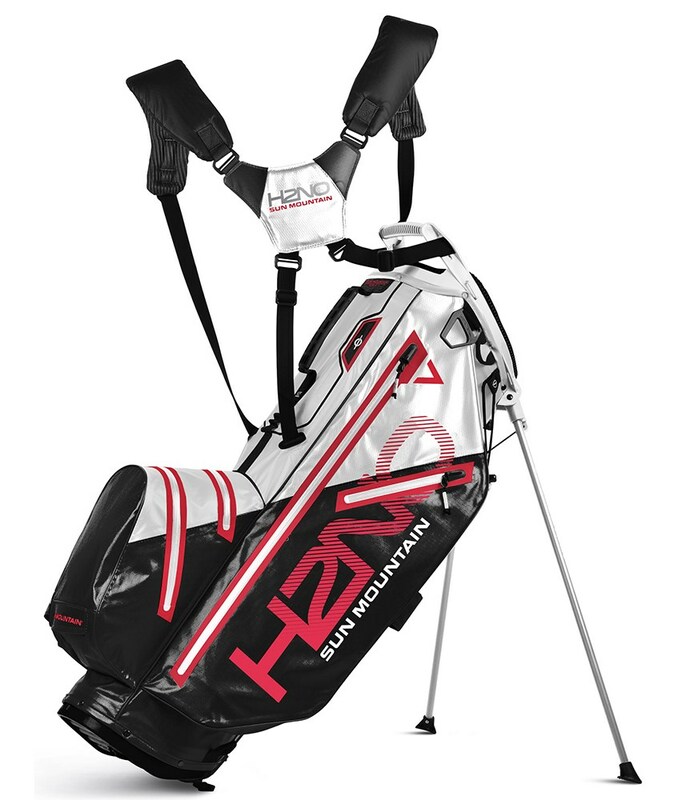 Sun Mountain have created a 14-way, full length divider top that has a ‘flared’ shape that makes removing and replacing clubs extremely easy. 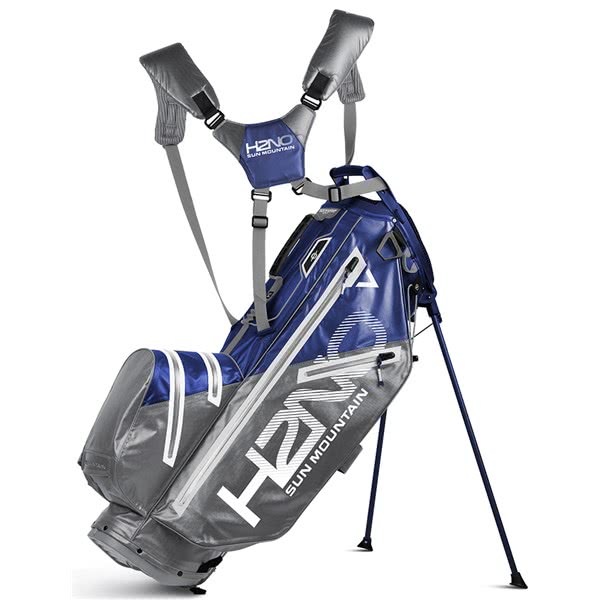 The 14-way, full length dividers also prevent grip crowding at the base of the bag. 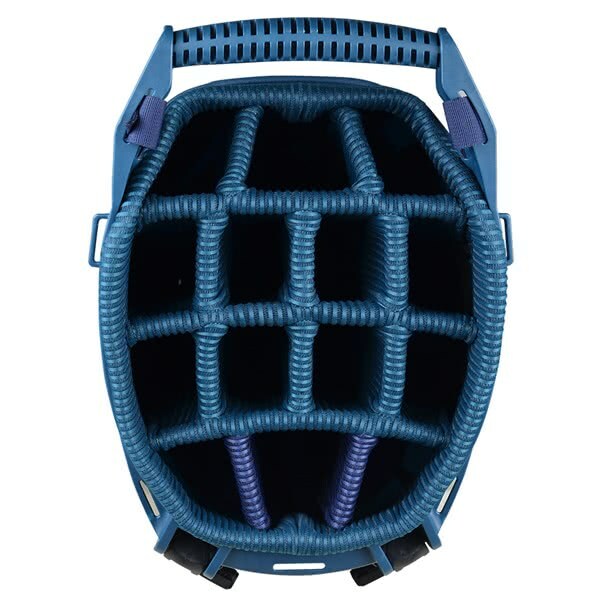 A moulded grab handle has been integrated into the top design to ensure lifting and lowering up and down, as well as to and from the shoulder is made more comfortable. 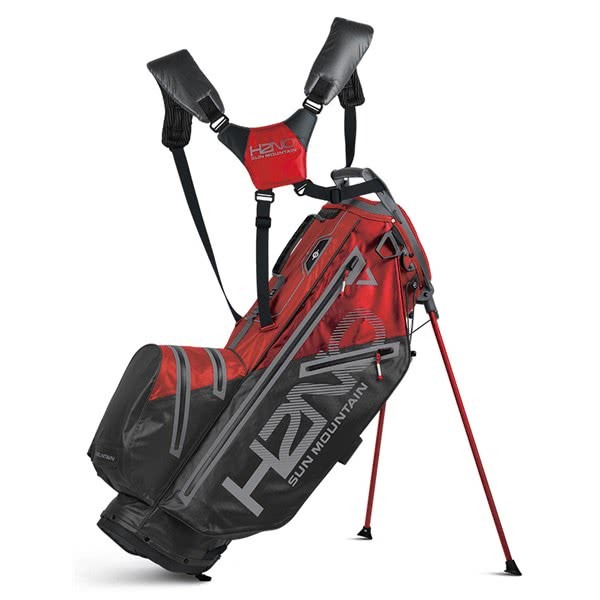 Sun Mountain have mounted their four point harness style E-Z Fit dual strap to the grab handle and middle of the bag to provide incredible balance and comfort. 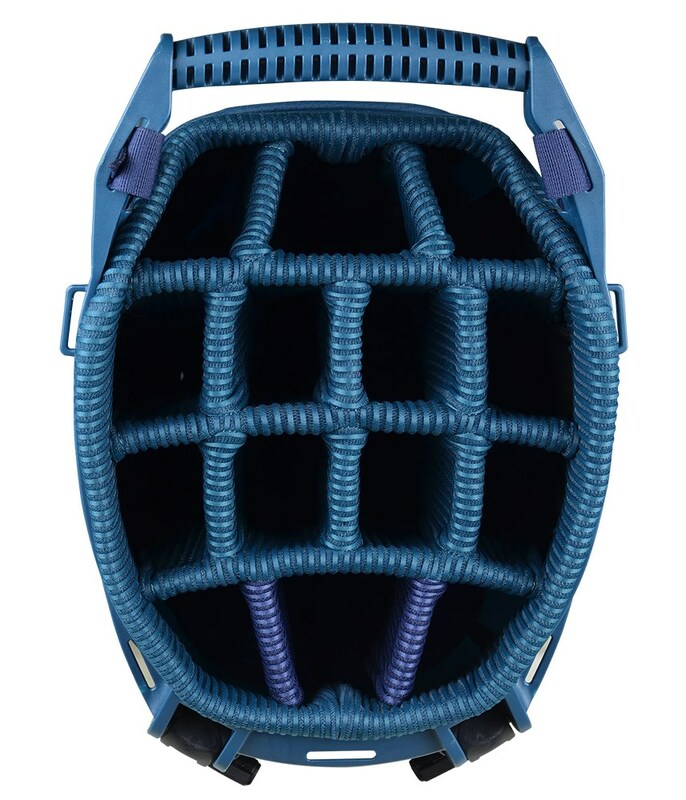 A padded mesh hip pad has been used to absorb impact and create extreme comfort when carrying the bag. The hip pad is compatible with the Zero-G waist strap that takes the stress off your shoulders when being carried (item sold separately). A multiple pocket layout provides an incredible amount of storage. The pockets have been strategically positioned to be easy to access when on the move. A top mounted leg mechanism featuring a leg lock system, will provide excellent stability when the stand is activated and allow you to use a trolley with the legs locked in place.